The coast of Felanitx has numerous paradisiacal and virgin coves of exceptional beauty. 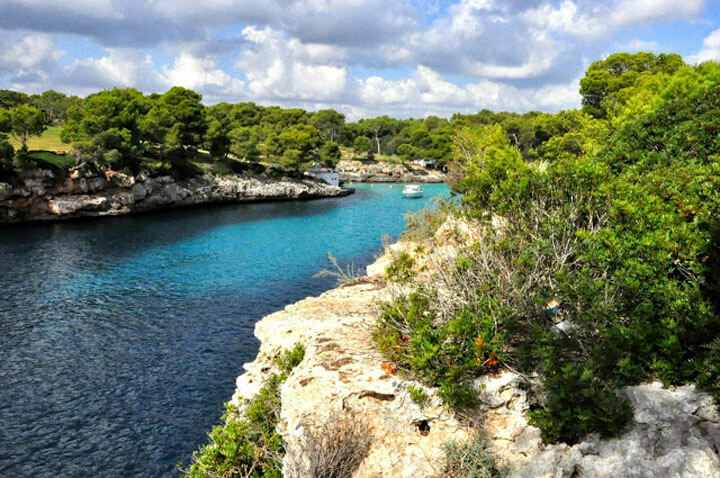 Cala Mitjana is a white fine sand beach with transparent and blue water, spotted in a marvellous environment. It is a cove of difficult access so arriving by boat, is the best is the best solution to enjoy it.